It’s always great to have delicious alternatives to our favorite non-Paleo dishes, such as pasta. Without a doubt, pasta is one of the most missed item for many Paleo-goers. 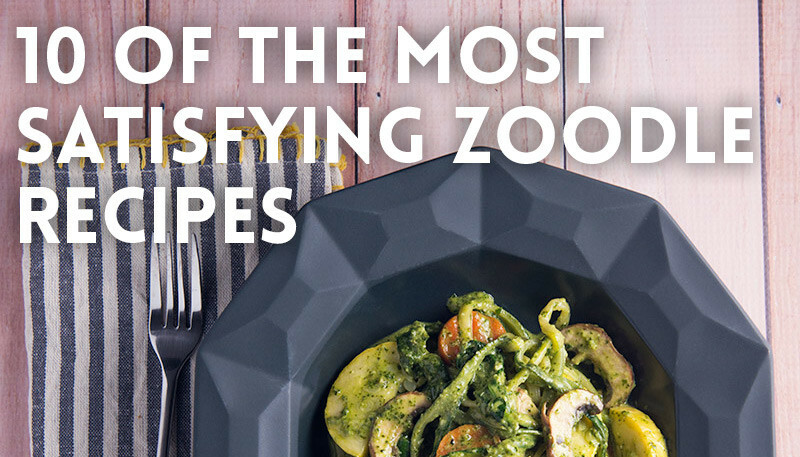 The good news is that zucchini noodles not only provide for a great tasting alternative, but so long as you have the right equipment (ie, a Spiralizer) they are super easy to make! If you don’t have one, go grab one (they are really reasonable) and then try out each and every one of these amazing recipes. If you’re looking to satisfy your pasta craving with something other than a traditional red sauce, then this delicious pesto and sundried tomato option will not disappoint! Also, such a great recipe to have on hand when your garden is full of zucchini and basil. Shrimp and bacon just so happens to be one of those combinations that is near impossible to pass up on. For that very reason, you’ll find this dish to be one you frequent quite a bit! Sometimes you just want to skip the meat, and that’s ok! This dish is loaded with hearty veggies that will leave you feeling full and completely satisfied. This dish will totally warm your soul. It’s a Paleo take on comfort food. The butternut cream sauce is literally unlike anything you’ve tried! We’re all for simple recipes that taste amazing and this happens to be one of them. You’ll for sure please the whole family with how quickly dinner is served and most importantly, how delicious it is. Nothing beats a comforting soup, especially one from the slow-cooker. It’s not your traditional chicken noodle soup, but we guarantee it’s just as satisfying! A creative twist on a classic Italian dish. The hearty vegetables are the vehicle for the delicious creamy pesto sauce. Another great all veggie option if you’re looking to skip the meat. All your favorite Pad Thai toppings on a bed of Zoodles, tossed in an almond butter based sauce. Is your mouth watering yet? This super easy dish requires minimal prep. A great recipe to use for those times you have leftover sausage hanging around, or maybe it’s even enough to inspire you to make your own! Your traditional spaghetti and meatballs has been taken to a whole new level of flavor with this dish. It’s really all our favorite seasonings packed into a meatball – so great!